Stubbins joins on the toss of a coin - LFChistory - Stats galore for Liverpool FC! Liverpool battled with arch rivals Everton for Stubbins’ signature. Albert Stubbins signed for Liverpool from Newcastle on 12 September 1946 and is remembered as a Liverpool legend. Here is how Western Morning News reported on his transfer: "Albert Stubbins, Newcastle United’s international centre-forward, last night signed for Liverpool. The fee was not disclosed , but it was known that both Liverpool and Everton had offered £13,000. 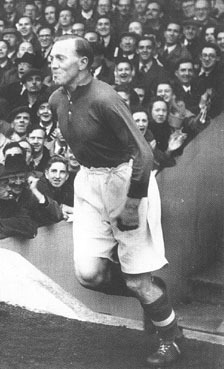 The record transfer figure is £14,000, paid by Arsenal to Wolverhampton for Bryn Jones in 1938. Aged 27, Stubbins is nearly six feet in height and weighs about 13st. A fast player, with a powerful shot, he was placed on the transfer list at his own request earlier in the week. He joined Newcastle in 1937, and in the last six seasons has scored 201 goals for them in 164 games. In 1940-41 he scored “hat tricks” in four successive games. Last season Stubbins played for England against Wales and has been spoken of as a successor to Lawton in the national side. Stubbins said his transfer to Liverpool came about in a funny way. "I actually decided to join Liverpool on the spin of a coin. Both teams wanted to talk to me and it was a very difficult decision to make. During the war we had a few guest players from Liverpool at Newcastle and so I suppose I always had a slight inclination towards Liverpool. Everton though were also a famous team at the time and were known as the “Team of Talents”. " Albert was at the cinema when there came a notice on the screen: ‘Would Albert Stubbins please report to St James’ Park’. "This was about six o’ clock and I went up there to meet Mr George Kay and Mr Theo Kelly, representing Everton. Stan Seymour, the Newcastle director said: ‘Which representative would you like to see first?’ I said: ‘Let’s flip a coin. Heads Liverpool. Tails Everton.’ It came down heads – Liverpool. Bill McConnell, the Liverpool chairman and George Kay and myself discussed matters and I was impressed with them both, and with the possibilites of Liverpool, so said I would go to Anfield. I also knew several of the Liverpool players at the time like Willie Fagan and Jack Balmer. That probably gave Liverpool the slight edge and in the end I never spoke to Everton because I had been so impressed with Liverpool’s offer."